Crystal Neubauer seeks to create a dialogue around the issues of self worth, identity, and the perception of human value through the use of salvaged and found objects, old books, packaging material, and the every day detritus normally viewed as trash. She sees these items as a metaphor for our lives and seeks to bring them together in a way that opens the viewer to a deeper experience of an overarching theme of personal redemption – where every part of who you are is embraced and nurtured as important to the whole. Whether rendered in a 3-dimensional assemblage fashion, or a 2D picture plane, her fascination begins with found papers. She calls her process intuitive, but it all boils down to learning to trust and open herself to the voice inside; the one that can guide creative decisions and bring about a much richer work of art. Crystal is the 2018 recipient of the RAM Artist Fellowship, with a featured solo show at the Wustum Museum of Fine Arts in August of 2019. Her work is represented in Seattle, Scottsdale, and Chicago and will be represented at SOFA EXPO Chicago in the Fall of 2018. Crystal has authored a book on the art of collage, teaches workshops nationwide, and seeks to educate and elevate the perception of collage as a fine art medium. Stay tuned for more Spring 2019 workshop dates coming soon! *Click the class title to take you to the venue or host site for more details and registration information. Full workshop descriptions, event information, and minis can also be viewed by scrolling below. January 5th - February 13th, 2019 Group show by invitation at Jen Tough Gallery, Benica, California - opening event to be held January 12th. *Please review Frequently asked questions and refund policy here. "The intuitive artist is the artist who trusts what her eye tells her is good. She allows for the fact that she has a story to tell through art, but lets go of the notion that the story will be known before she starts working. It is not so much about learning a technique, as it is learning to trust that you know what you know. It is letting go of a plan, letting go of expectations, and creating in spite of your fear. If you have been formally trained in art it may mean learning to trust your eye rather than the rules. If you have never so much as taken an art workshop it may mean giving yourself permission to play with the tools and materials you once thought were only for professionals. Either way, to work intuitively allows for the finished work to be more than what the artist is capable of producing on his artistic merits alone. It allows for the voice within to translate to the canvas without the need to have to spell out the message and make it obvious to the viewer." Students will leave the workshop with a series of small 4" studies and multiple big works of art ranging from 6" up to 30" in size. * Note- all works will be created on watercolor as our substrate, discussion will include a variety of ways to display your completed collage work when you return home. Mar 1-3, SOLD OUT - My Studio, Racine, Wisconsin - Follow this link to register. Nov 8-10, Sedona Arts Center; Sedona, AZ - Follow this link to register. This is a project oriented workshop with a focus on developing a structure, shrine, or shadow box that moves the viewer to enter in to their stories without feeling the need to be overt or literal in their creation. 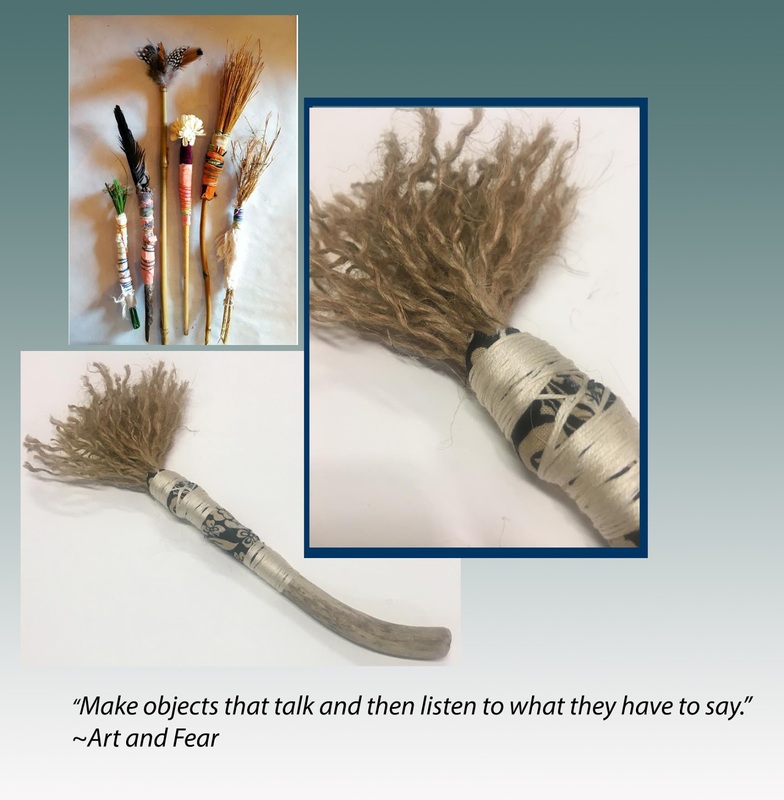 Class discussion will center on exploring the deeper meaning in our work, understanding and using symbolism, and developing a narrative through the selection of objects and materials used. Techniques will include light deconstruction and assembly, alternative attachments (with glue being a last resort for construction), creating niches, openings, veils, sculpting objects and details with collage, encaustic, and more. Students may bring any box or book to alter, or they may wish to build one from cardboard and alternative materials - appropriate demos will be included. Sept. 16, 2019 - Optional third day of studio time is listed separately at this link. Delve into the art of paper and glue, working through an intensive exploration of the art of abstract collage, intended to help you connect to the design knowledge you already carry within you to create satisfying works of art while discovering your own authentic style. Create compositions utilizing both, elements with organic torn edges, and those deliberately cut with scissors. 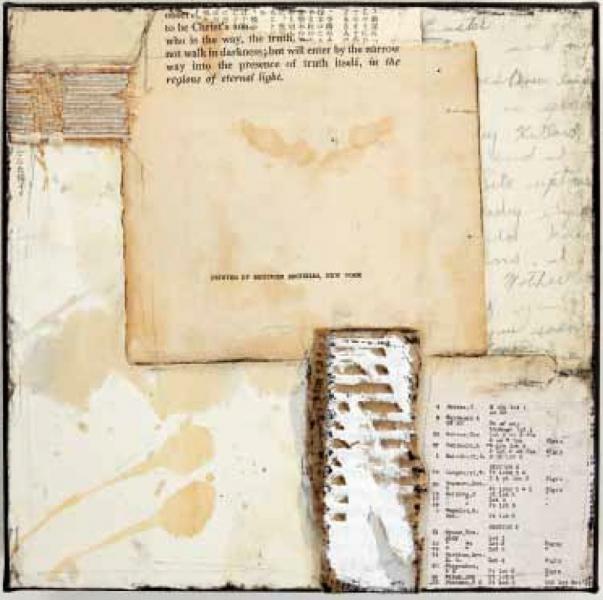 Learn to select the proper adhesive, determine what substrate to utilize, and alter a variety of salvaged materials for use in collage. 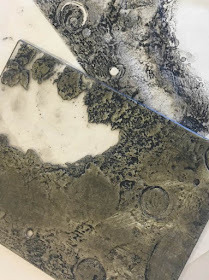 The class will include a hands on comparison of the unique nature and differences found between hot encaustic wax and cold wax medium when applied to the paper elements and incorporated into the design. We will examine the qualities unique to each of three protective finishes, hot encaustic wax, cold wax medium, and spray varnish, along with the surface design potential unique to each and leave the class with a new found confidence in your ability to determine which to use. 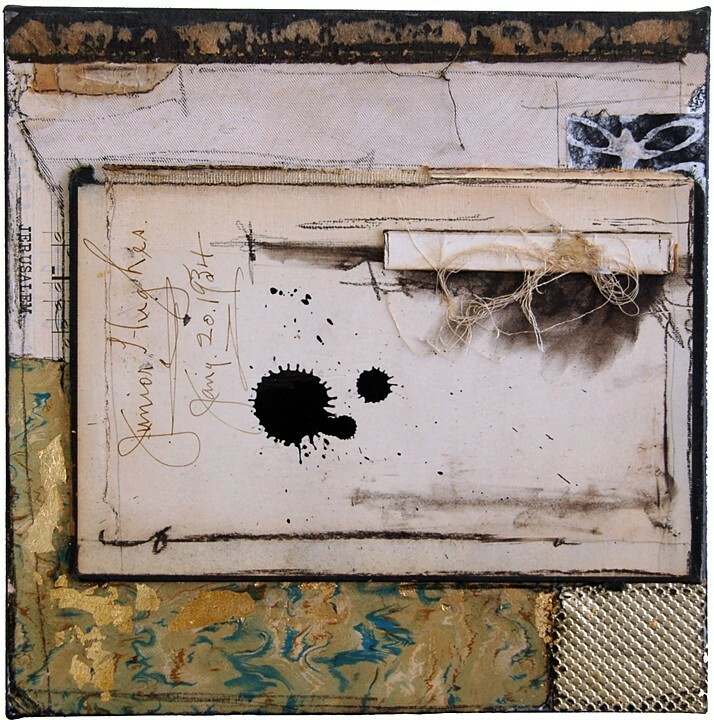 Beginning with a series of exercises designed to help the student let go of the inhibitions that can block intuition and the creative flow, this class will take an in depth look at the art of collage, the relationship between paper, the use of non-traditional and traditional substrates, and encaustic wax medium. Students will have the opportunity to explore alternative mediums and develop a series of works utilizing mediums and materials such as watercolor paper, ephemera, fabric, plaster, found objects, salvaged wood, cardboard, and more. Working in both 2D composition and 3D sculptural form, each work will reflect the style and creative influence unique to each individual. Join me for this relaxing two day art experience crafting handmade brushes from found objects and natural materials, and then using them to create your own visual language! 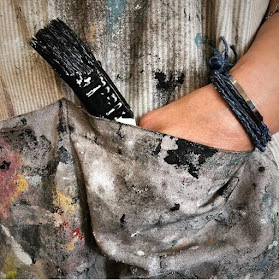 With a focus on, both the aesthetic beauty of the brush, and the potential it has to create beautiful marks, the class will introduce the art of asemic writing- the art of making marks that convey our emotional energy and impart our innermost longings. Through a series of exercises, you will learn to let go of the inhibitions that block your creative freedom and turn your intuitive energy into a unique language to help you connect to your own art practices at a deeper level. This class is a combination of technique, process, and project oriented. The student will walk away with several handmade brushes, an array of marked papers to use in other projects, and compositions you may find suitable for framing. *All supplies are included in this class, but you may wish to bring a lock of your own, a loved one, or favorite pet's hair. This is a very special opportunity to take a workshop in my studio in a small group setting. 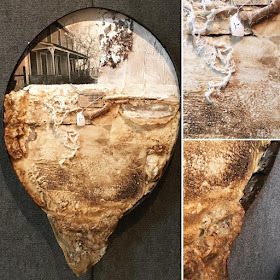 Limited to 6 participants, this class will focus on the creating collage with encuastic wax on cradled panels with the introduction to incorporating assemblage elements into your work. The supply list is small and will be emailed to you, but mainly includes bringing your own collection of collage material and found objects. We often come to the table with the expectation that there is a right and a wrong way to approach the canvas and fully expect that in every art medium there is a potential for a good or bad outcome based on how skilled we are at following the rules. The idea of letting go of control is intimidating, especially when using precious found materials and investing in expensive art supplies. Whether you are an experienced artist, or a novice, this workshop will dare you to let go of expectations and ignore the rules through exercises designed to infuse freedom into your creativity. We will begin the workshop scavenging the grounds around the studio for material to create our own mark-making tools. We will then explore a variety of mixed-media activities using paint, pastels, traditional drawing and mark-making tools, and collage. With new-found confidence in your own artistic voice, the class will culminate in a final project with a focus on mixed-media collage. 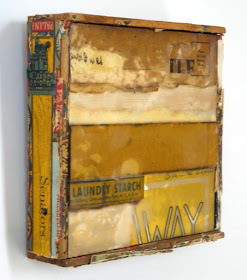 Plexiglas as a foundation for encaustic wax offers options that cannot be achieved with a traditional canvas. 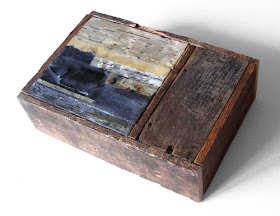 For beginner to experienced artist, this encaustic how-to workshop provides an excellent overview for combining encaustic wax with the mixed-media collage look you love while achieving a beautiful light filtering luminosity. Using clear acrylic Plexiglas as the foundation through which the finished piece will be viewed, the class will build the collage from the front, back, or both sides of the “canvas”, learning important information on the basics of encaustic wax and collage practices, along with techniques that are friendly to the encaustic medium, including image transfers, incising and mark-making, simple monoprint transfers, and more! Most supplies are included with this workshop. A list of supplies students should bring will be provided before workshop date. 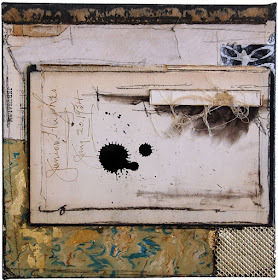 The interplay between paint and ephemera are as familiar to mixed-media as a marriage between old friends; a staple in many an artist’s studio, as comfortable as your childhood school supplies. Yet this class will dare you to step out of the realm of the expected and allow your intuitive voice to have its say. 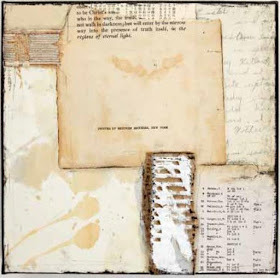 The collaboration of materials begins with several collage and mark-making exercises on paper designed to help you loosen up and let go of controlling the outcome, while still creating a very satisfying work of art. 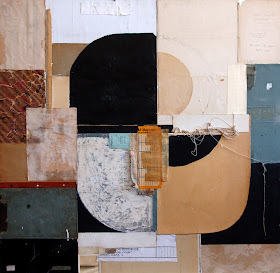 With confidence bolstered, the main project begins with a collage as the focal point and then takes it to the canvas with paint, pastel and more. All skill levels are welcome and encouraged. 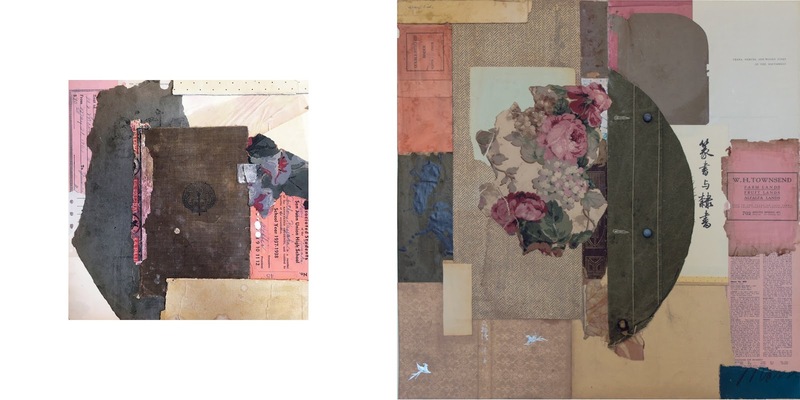 The use of paint in collage and mixed media can be both exciting and intimidating. Fear of making a muddy mess on the canvas can prevent the free and spontaneous play essential to a vibrant work of art. Release your creative voice in this no pressure evening painting papers with layers of delicious marks for your own colorful stash of collage fodder. This stockpile will be large enough to use in other workshops at AU, including my full day Exploring Collage Combinations, but we will also end the evening with several quick collage exercises to give each student the confidence to use their new collection of painted materials at home on their own.